Since 1997, East Side Pockets has been a fixture in the heart of Providence’s busy Thayer Street. 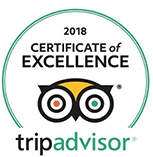 We serve consistently great Middle Eastern food in a spotless and casual environment seven days a week from 10am to late night Monday through Saturday, and until 10pm on Sunday. Falafel (absolutely the best around! ), gyros, wraps, baklava, grape leaves, salads, hummus, and tzatziki, are available along with all items on our menu for take-out or sit-down dining. Lines move quickly at the lunch and dinner hours, and the portions and quality are well worth the short wait.